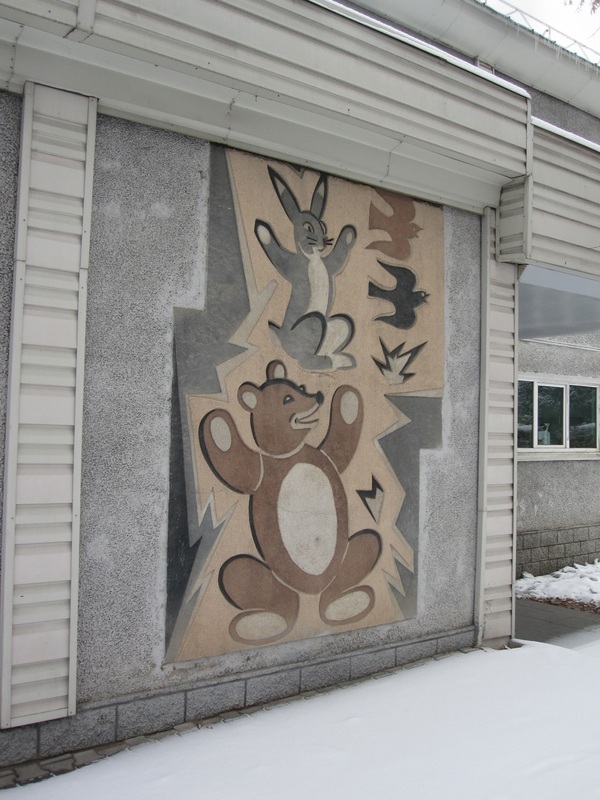 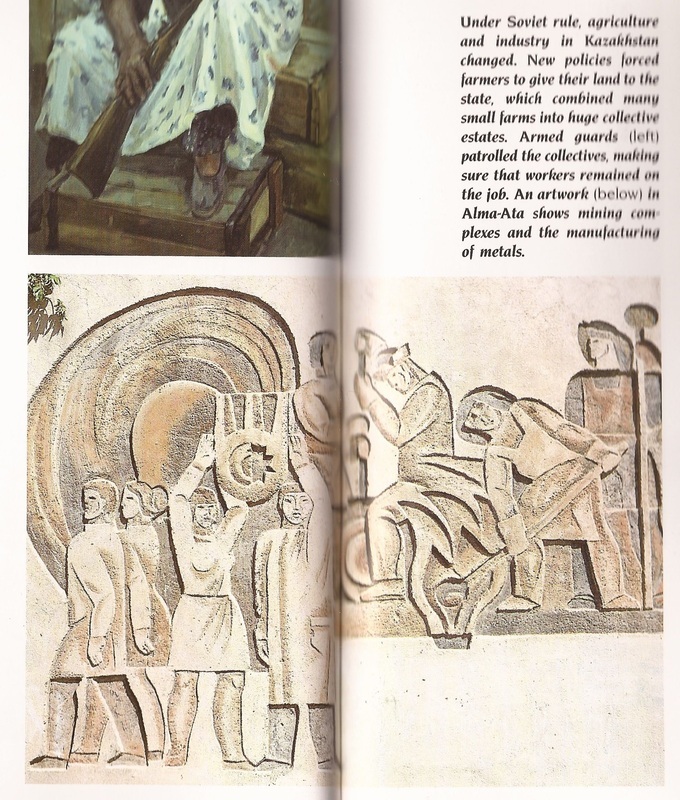 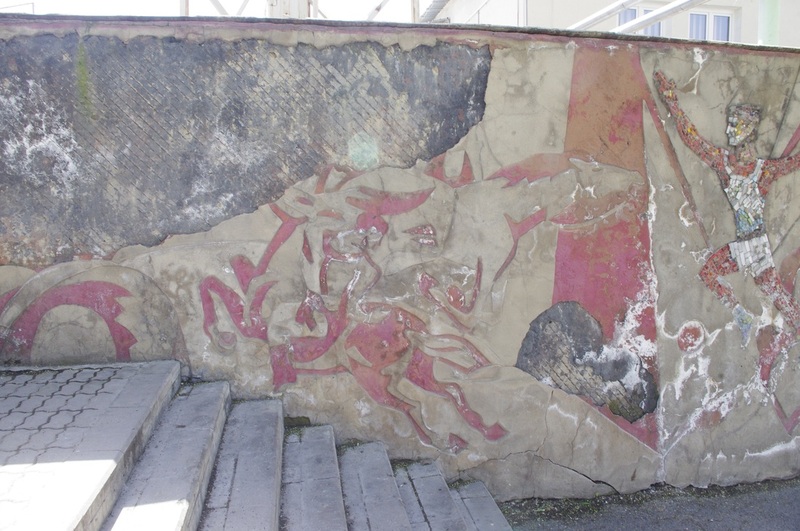 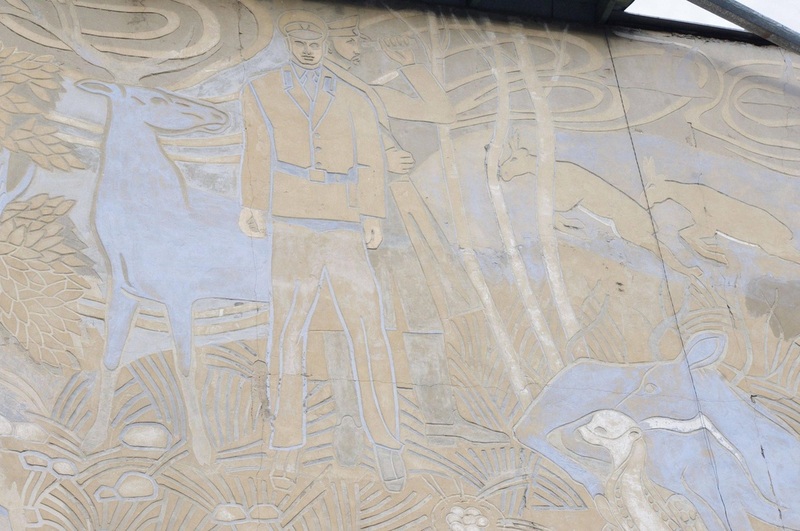 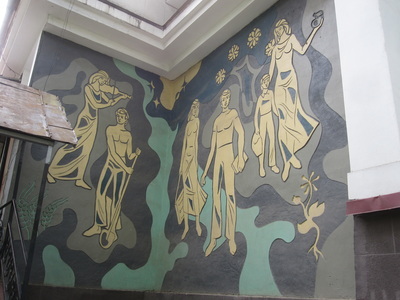 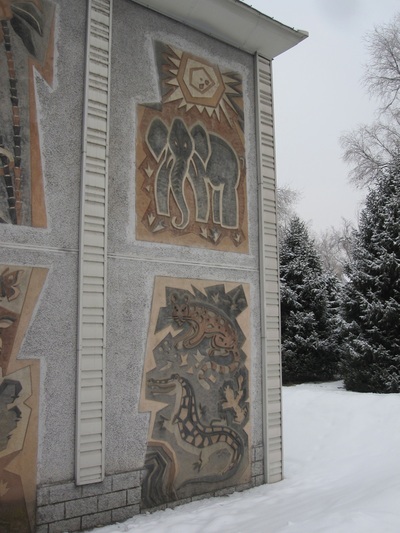 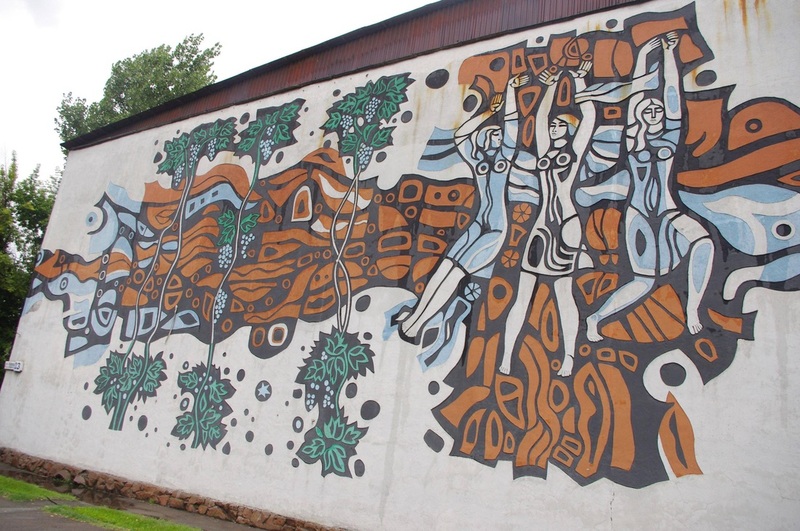 The Soviets built up a whole state apparatus for erecting "monumental art", art built for public display, for appreciation by the masses, but while their mosaics have been fairly well recognized, less well-known is the communist mastery of sgraffito. 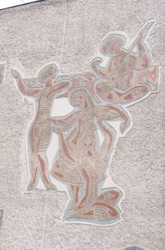 An ancient technique refined in Italy during the renaissance, sgraffito involves applying several layers of colored plaster to a wall, the different layers then strategically scratched off to reveal a multi-tone artwork. 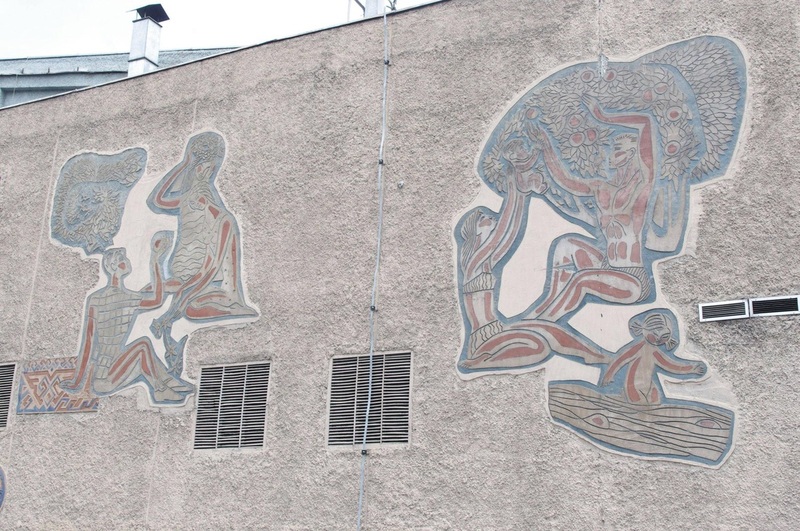 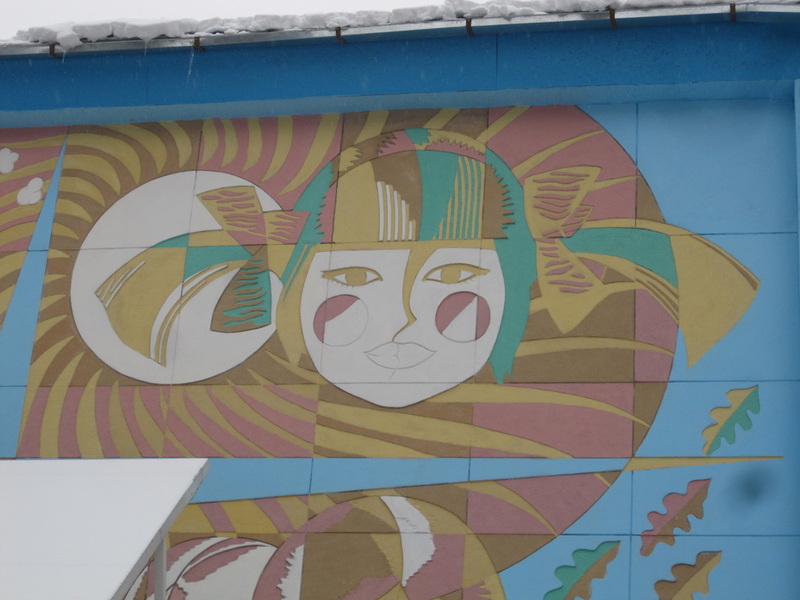 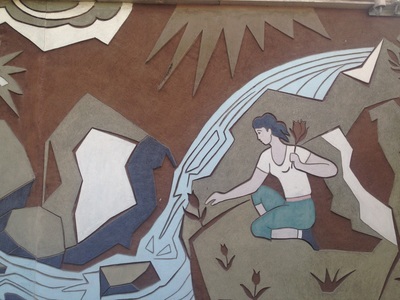 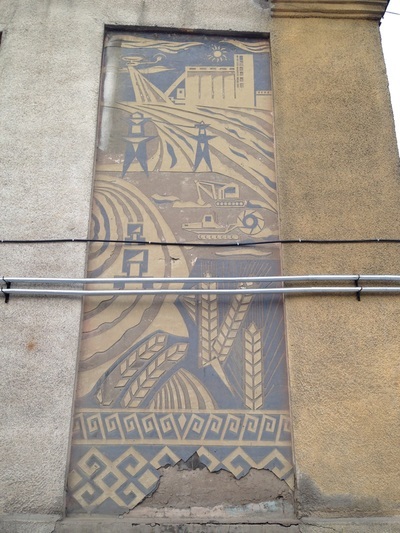 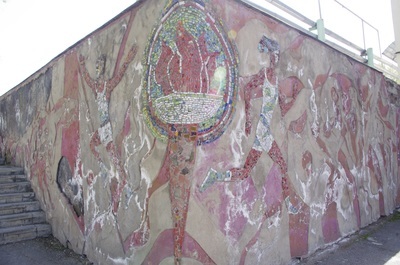 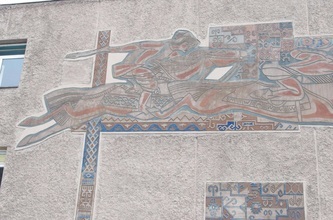 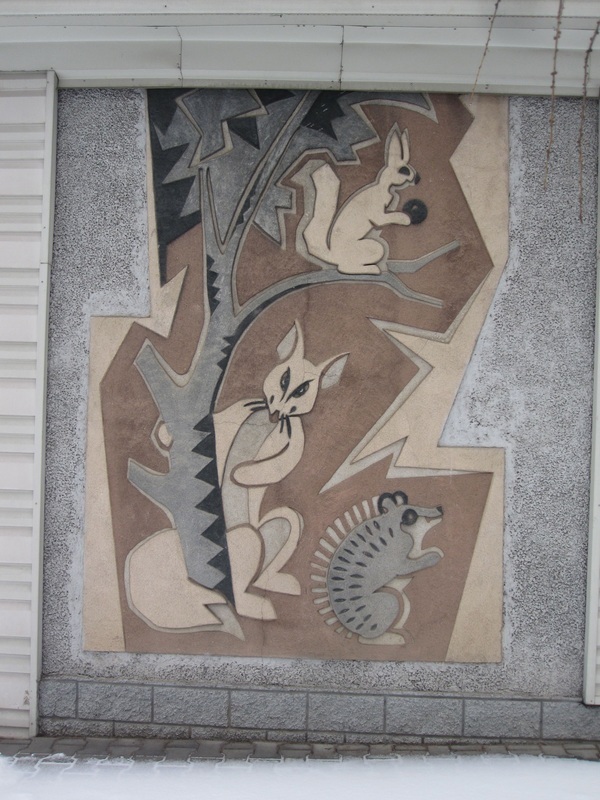 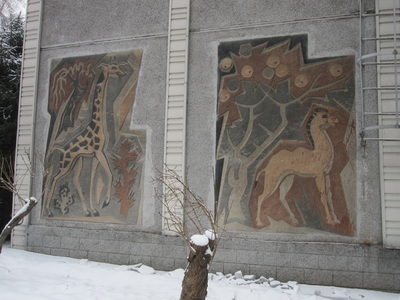 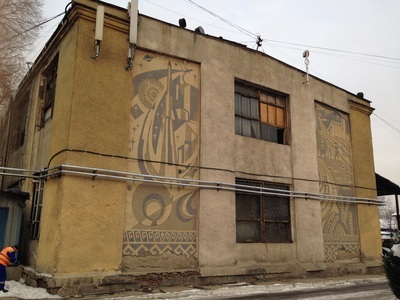 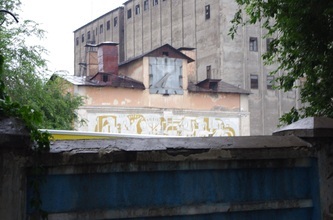 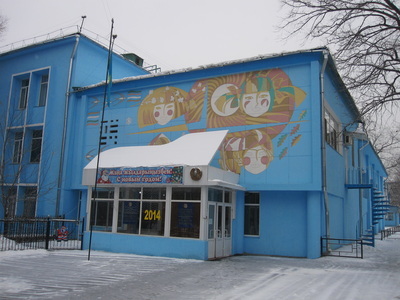 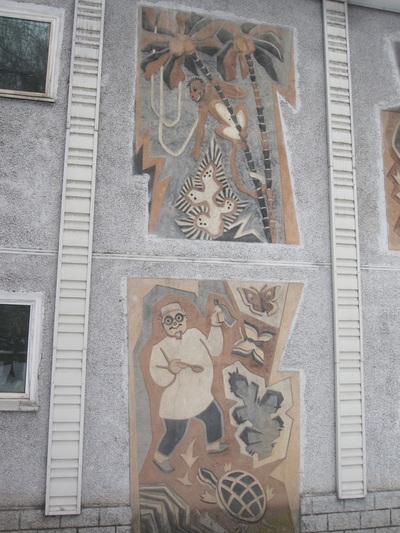 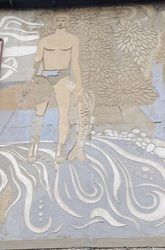 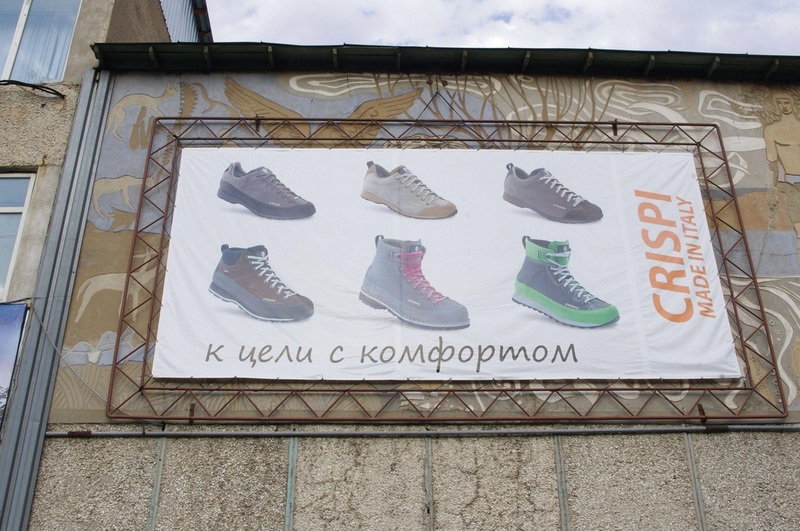 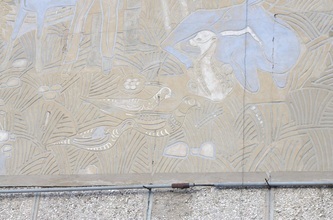 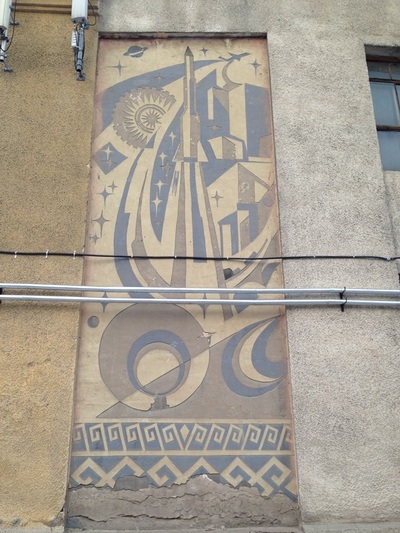 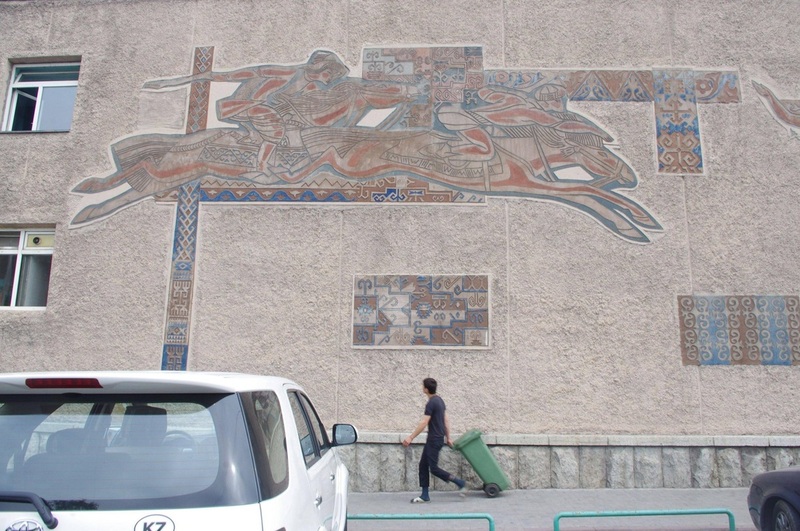 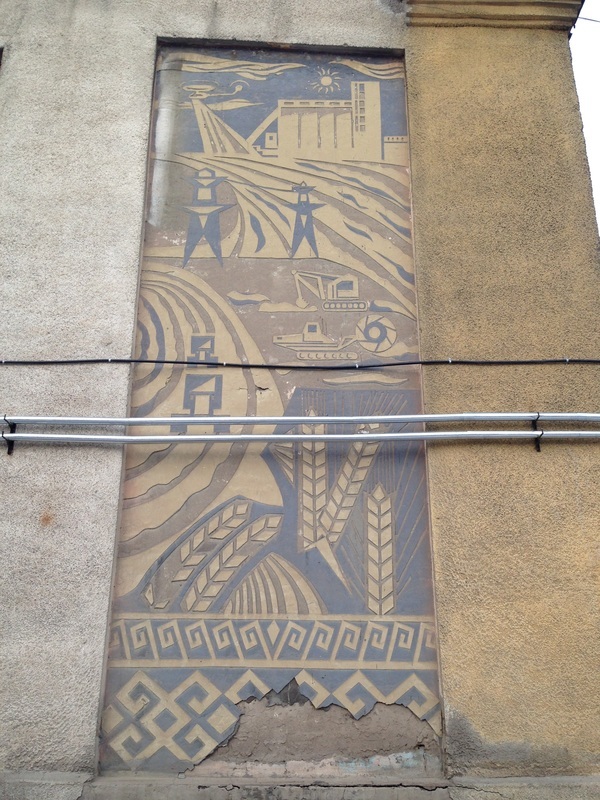 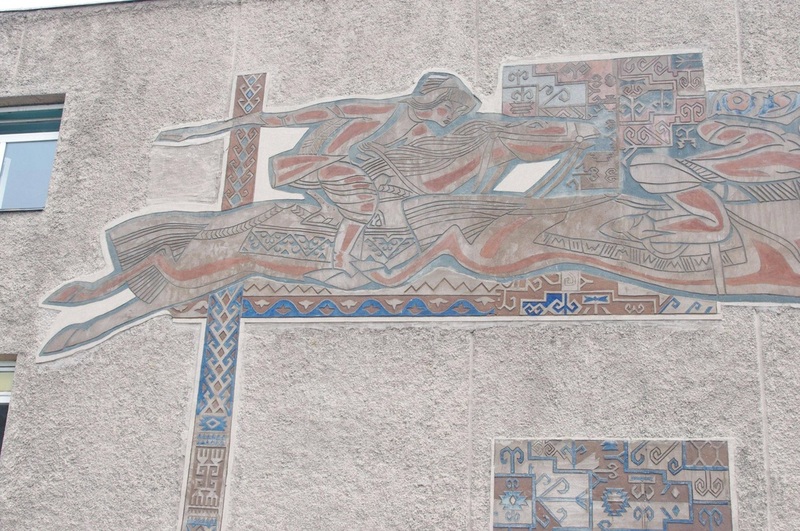 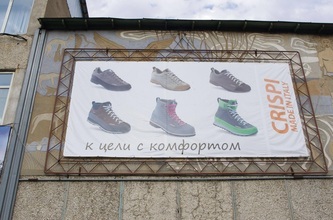 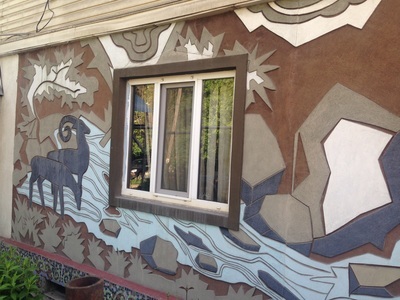 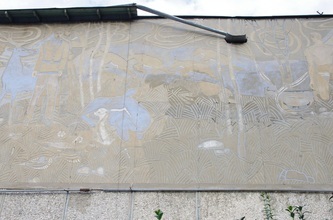 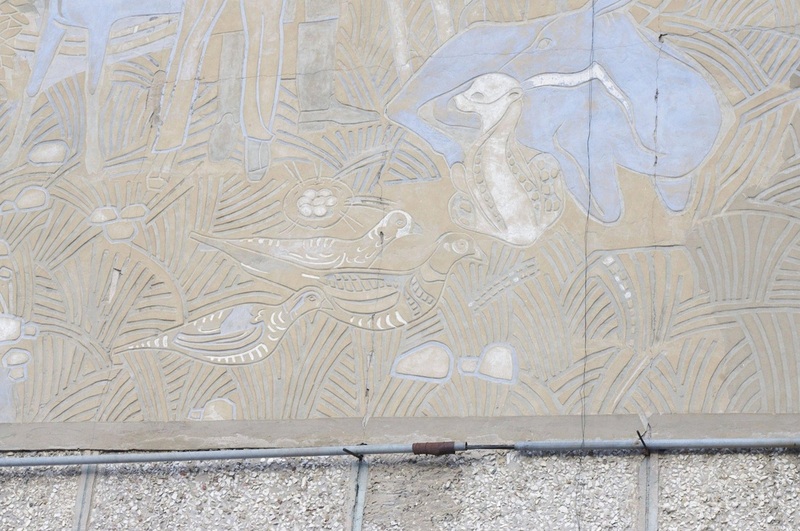 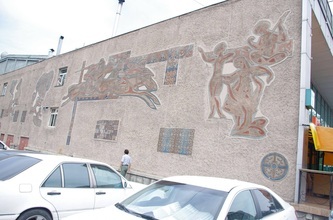 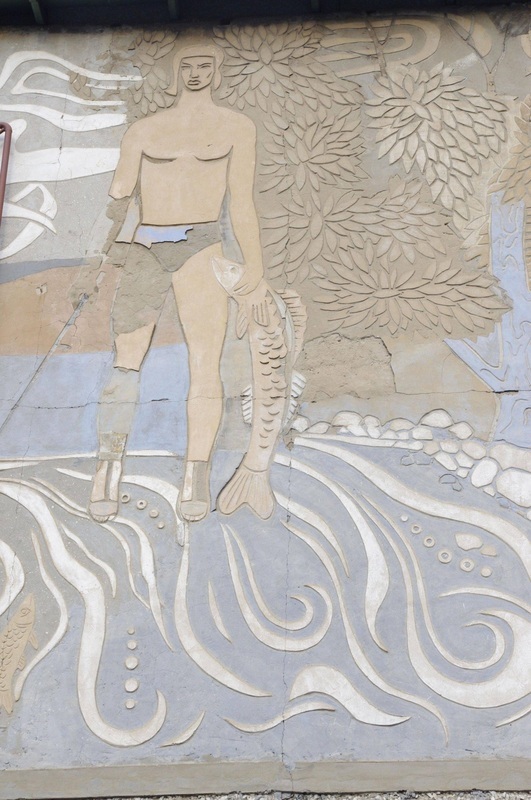 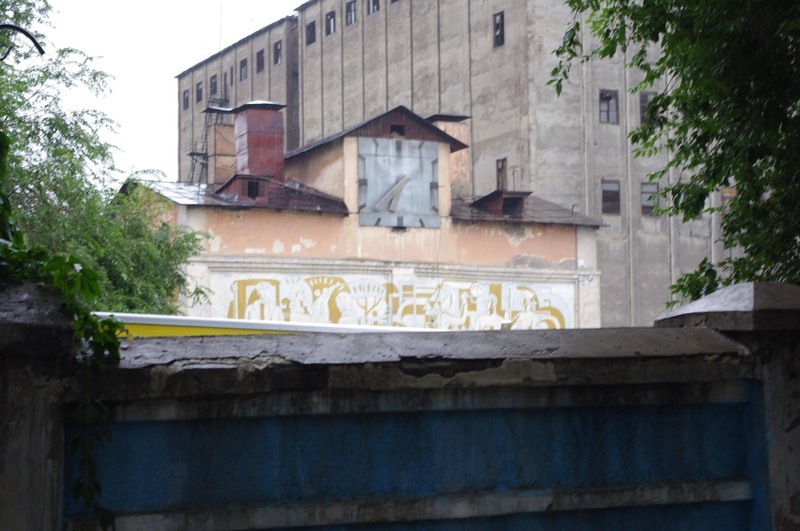 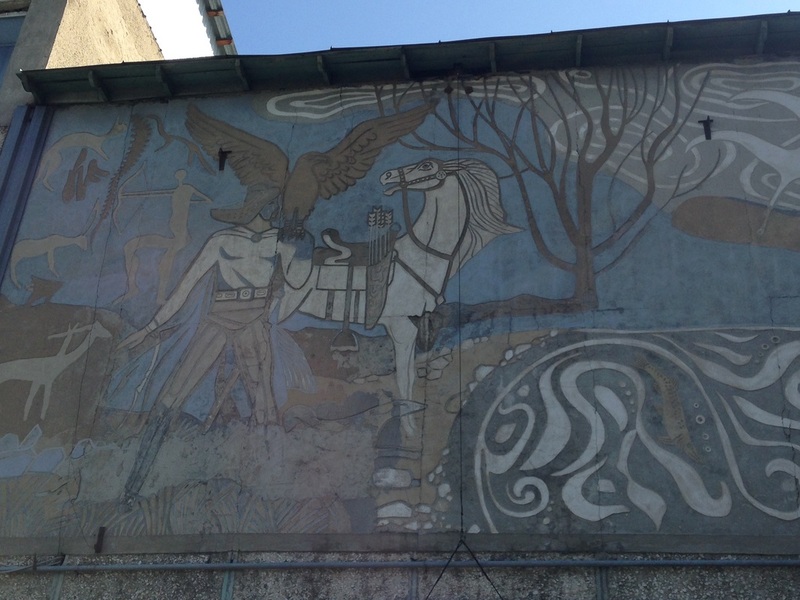 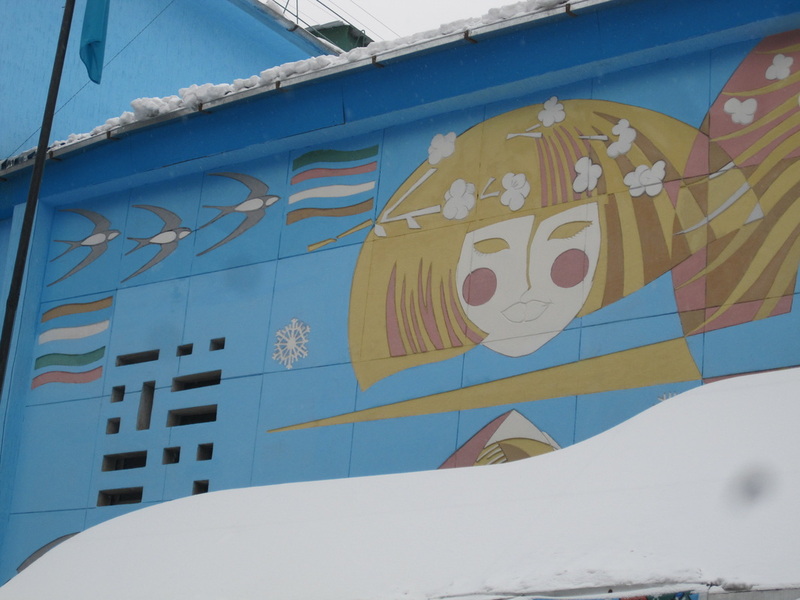 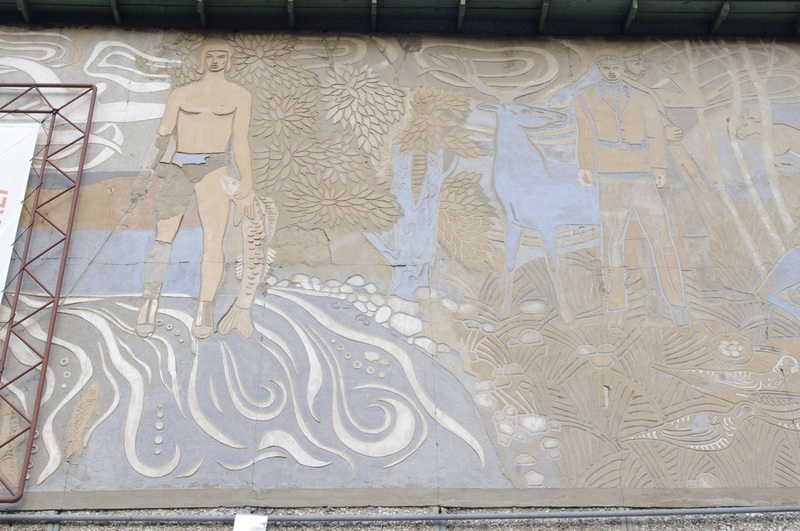 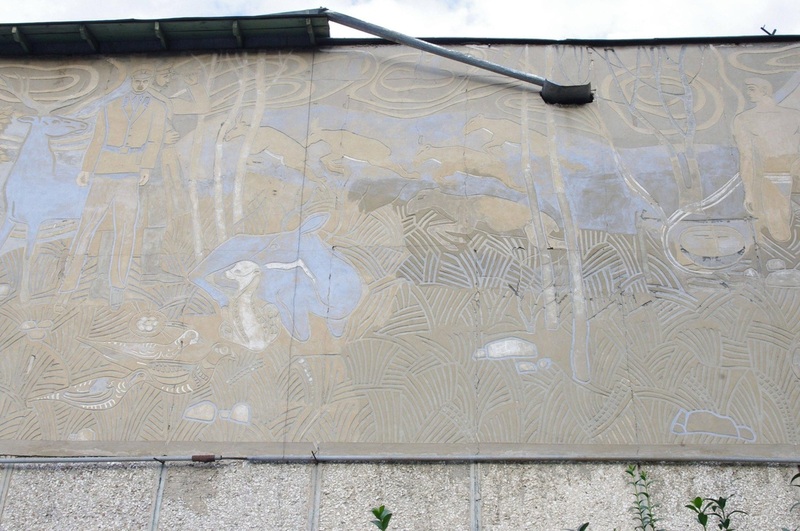 There are at least eight sgraffito works in Almaty, most of them well-preserved.